Kickstarter Funded Serious Games: Mathbreakers Campaign Just Launched! Imaginary Number Co., the Mountain View startup for Educational Serious Games, has started a Kickstarter campaign to raise $42,000 to make Mathbreakers a part of math curriculum everywhere. The campaign begins on June 5 and ends on July 5. Mathbreakers is a revolutionary approach to grade-school mathematics that allows students to explore a rich 3-D environment where everything is made of numbers. Players can pick them up, chop them in half, and throw them around. The basic rule of Mathbreakers is that when two numbers touch, they add together and combine. Based on this simple mechanic, there are a host of challenges to overcome. 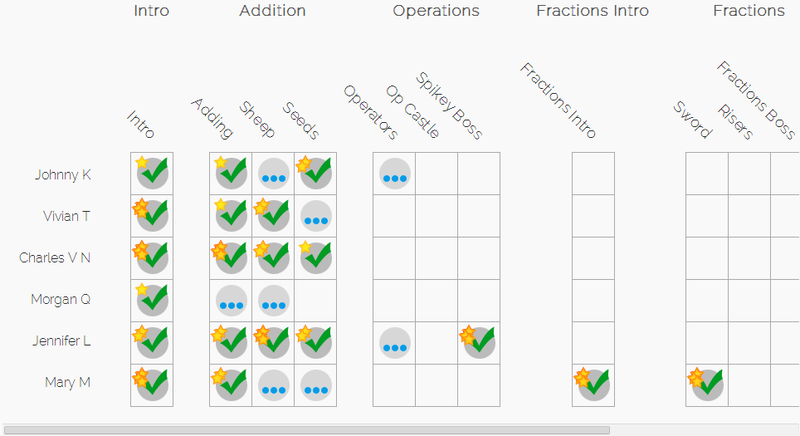 Mathbreakers empowers kids to take control of their own math learning experience. Players are encouraged to experiment and explore the world of numbers around them, without having to worry about making mistakes or getting the “correct” answers right off the bat. Mathematics is fully integrated into the gameplay -- which means that enemies and objects in the game are all made up of numbers. 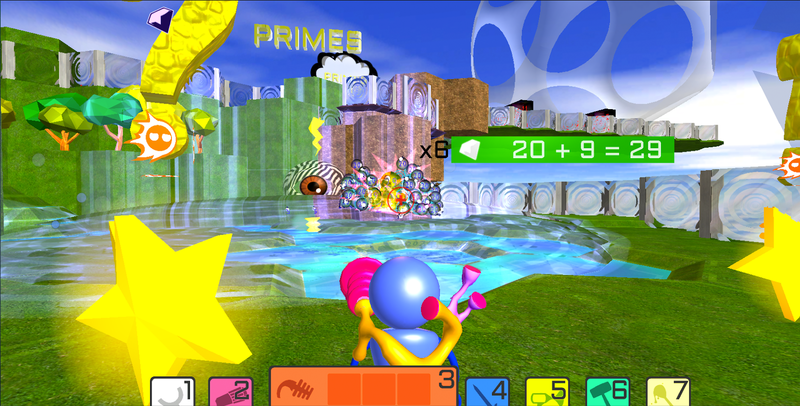 Players use mathematics to interact with objects and the environment, honing their math skills as they defeat monsters and work their way through obstacles. Developers expect Mathbreakers to be on iPad and Android by the end of the year. Here is a taste of it at https://www.youtube.com/watch?v=VlO0TZqtG5o. Integers, Fractions, Operations and Negatives are Mathbreakers' bread and butter. It's most suitable for 2nd-5th graders, but kids outside that age range (and often adults!) find themselves enthralled with a world where you can play with numbers. Mathbreakers presents the player with puzzles, monsters, and gadgets with which to manipulate the numbers. The game starts off relatively easy, with enemies and walls the likes of "5" or "18", numbers easily made by throwing together a few 2s and 3s. Since adding together to get "0" will destroy any number, you can pass these challenges just by matching the negatives with the positives. This also teaches about factors indirectly, since players can use any factor of N to destroy it with multiple actions. For example, you can destroy a 20 by using a "5" four times, or by using two "10"s.
It picks up speed in later levels with more complicated machines. One of the most ubiquitous machines in Mathbreakers is the Number Hoop, a magical doorway that transforms any number that passes through it, usually with multiplication. If you pass through a x2 hoop with a 5, it would instantly become a 10. Number hoops are fully reversible -- if you go through it from the other side, it's a /2 hoop, and you can take an 8 through to make a 4. With only a x2 hoop and some 4s, there are some pretty challenging obstacles to overcome; could you make an 11 with just these objects? Mathbreakers is a gripping first person experience, in a bizarre world filled with toys and puzzles. This was not meant to be an addition to homework; this is a full video game that just happens to have a lot of numbers in it. Vivian, Charlie and Morgan have been working on Mathbreakers for over a year, and bring a wide variety of tech skills and game design savvy to the project. Jo Boaler is a Stanford Graduate School of Education professor and Ph. D. She teaches how to teach mathematics and holds several Massive Open Online Courses in mathematics. Federico Chivalo is the Math Specialist at Synapse School in Menlo Park, and helps design the curriculum and puzzles used in Mathbreakers.